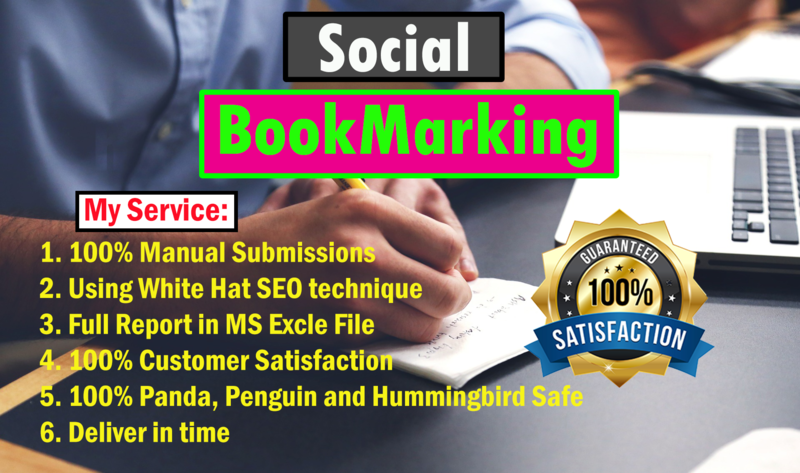 Bookmarking backlinks is a very good and interesting feature for SEO. Various sites for search engine to submit a post. It is quite powerful when compared to other promotional methods. High Authority Bookmarking SEO Backlinks will help your websites to get index in all search engines quickly and properly. It also increases ranking, Social Visibility and search engines visibility. I will manually submit your websites/blogs to top 50 high authority bookmarks submission sites.